LG Electronics came out of nowhere last year and stunned the smartphone world with the G2, arguably the best Android handset of 2013. Now it’s back with the G2’s successor, the G3, and LG again has a phone that is contender not only for Android smartphone of the year but best phone overall. The G3 is not perfect — battery life, for example, is not quite as good as it was on the G2 despite a bigger 3 000mAh rating — but it’s about the closest to perfection we’ve seen from an Android handset. What makes it so good? For one thing, it’s the glorious 5,5-inch LCD screen — at 2 560×1 440 pixels for a pixel density of 534ppi, this is the best display we’ve seen on a smartphone. Images and text look almost impossibly crisp. Detail in high-resolution pictures is candy for the eyes. For another, it’s the little hardware and software design details. LG has clearly spent a lot of time thinking carefully about what should — and shouldn’t — go into a flagship smartphone. The result is a fantastic mobile computing experience. A review has to begin somewhere, so let’s choose the obvious first target: that huge, bright display. Anyone who claims that the human eye isn’t capable of differentiating beyond the pixel densities offered by typical 5-inch, full-HD resolutions found on modern smartphones today hasn’t spent time with the G3. At a quick glance, it’s unlikely someone would notice much of a difference, but spend time with the G3’s 16m-colour true HD-IPS display and you’ll come to appreciate how much more detail the higher resolution offers. And LG has done a great job of balancing colour and contrast. 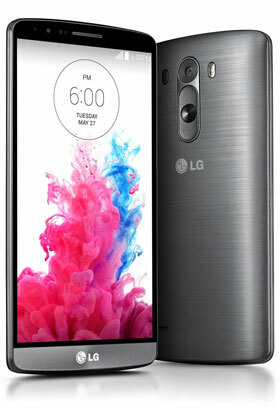 As with the G2 before it, LG has placed the power button and volume control at the rear of the phone, leaving no buttons along the sides of the phone. It may seem controversial, but it’s a design decision that makes absolute sense. Waking the device is as simply as double-tapping the screen. But LG has gone a step further with the G3, allowing you to enter a “knock code”, a sequence of up to eight taps (we found four more than enough) to wake and unlock the phone. It’s so much more convenient that typing in a Pin code or password. Knock code can be a little finicky, we found, especially if you’re using one hand to hold the phone and tap in the unlock sequence. But holding the device firmly in one hand and using the other to tap the screen works well most of the time. Firing up the G3 for the first time presents a home screen that offers a great LG-developed Android widget called “Smart Notice”. This widget shows the current weather conditions as well as the date and the time. But it’s far smarter than that. Smart Notice pops up cards — an idea borrowed, no doubt, from Google Now — that provides users with information relevant to their day. For example, if it’s likely to rain later, the widget will suggest packing an umbrella before you leave for work. We weren’t able to test this, though, since the sky is blue for months on end on the Highveld at this time of the year. The only weather-related suggestions it kept popping up on our G3 was that it was exceptionally dry — and so we should therefore consume plenty of liquids — and the temperature was likely to change significantly. It did this every day, so it became a little tedious. You’ll still want to rely on Google Now for suggestions on when you should leave for a meeting and how your favourite shares are performing. Dragging to the right on the G3’s home screen brings up a page dedicated to LG’s Health app — you either like these apps, which provide details on how far you have walked or run and how far you should have walked or run, or you don’t — and to providing “Smart Tips” on how to use your phone better. It’s a good-looking page, but we mostly ignored it within a day or two. We’re still trying to figure out if it’s possible to switch it off. Other than these tweaks, LG hasn’t gone crazy with vanilla Android (it’s KitKat 4.4.2) that ships with the device — and that’s a good thing. Not only don’t we like most Android overlays, but hopefully it will also mean a quicker update from LG when Google ships Android L, which is expected later this year. In fact, we think the interface on the G3 is a big step up from the G2. LG has gone for a much flatter look with more muted colours and has dramatically cleaned up the interface. We like it a lot. Let’s get to the hardware. LG has certainly packed it in, from processor to cellular aerials. The 149g G3 is powered by a Qualcomm Snapdragon 801 chipset with a quad-core, 2,5GHz Krait 400 central processing unit and Adreno 330 graphics processor. There’s everything you’d expect in a high-end smartphone: accelerometer, assisted GPS, Glonass, stereo FM radio, Bluetooth 4.0, near-field communication and dual-band Wi-Fi (up to the a/c variant). There’s a microSD slot for cards up to 128GB in size. Battery life is the only real disappointment we have with the G3. It’s noticeably poorer than it was on the G2, no doubt as a result of that QHD display. For anything beyond moderate use, you’re likely to be hunting down a power socket by the early evening. Fortunately, the G3’s battery can be removed, so carrying an extra is an option. However, we’d recommend heavy users carry a separate battery pack — the 11 000mAh Lenmar Helix is very good. Still, the effect of the G3’s display on the battery life must raise the question as to whether LG made the right call in choosing a QHD display over the full-HD version it used in the G2. We think it did, but it’s certainly going to ignite debate. That’s not to say the G3’s battery is awful. It’s not. In fact, it’s actually quite reasonable. But we were spoilt with the excellent battery life of the G2. Another controversial aspect of the G3 is its outer shell. It looks like brushed metal, but as soon as you pick up the phone you realise it’s actually plastic. That’s not a bad thing, necessarily, especially since it helps keep the phone’s weight down. It just doesn’t feel as premium in the hand as, say, the Sony Xperia Z2. On the plus side, the phone isn’t prone to slipping — always a problem on devices that are bordering on “phablet” territory. As with the G2, LG offers a smart “windowed” case. Last time around, the window on the front of the case was square. This time, LG has gone for a circle. The QuickCircle case allows G3 owners to make use of various function without opening the phone. They can use it to place calls, listen to music and even take photos, LG says. We didn’t order our unit with a QuickCircle case, so we’re unable to comment on how well it works, but reviews elsewhere suggest it works as advertised. One of the areas where the G3 really stands out among its competitors is in its support for a wide range of 2G, 3G and 4G/LTE spectrum bands, with download speeds of up to 150Mbit/s. The European D855 model, the one that will be sold in South Africa, supports the widest range of 4G/LTE bands we’ve seen on a smartphone: 700MHz, 800MHz, 900MHz, 1,8GHz, 2,1GHz, 2,3GHz and 2,6GHz. That means it’s future-proofed. It also works on Telkom Mobile’s LTE network — useful to know if there’s a chance you’ll port. 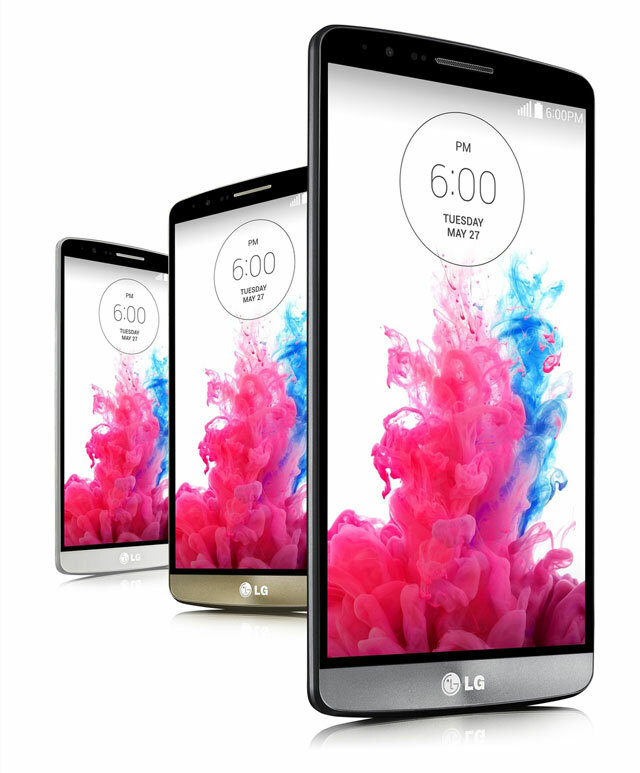 The LG G3 we tested comes with 2GB of RAM and 16GB of flash storage. There’s a 3GB version that also has 32GB of storage, but it’s not clear yet if that model will make its way to South African shores. For now, that version is on sale only in parts of Asia. The 2GB RAM model, however, runs Android and most applications perfectly smoothly, and unless you need to store a lot of photos or music and video files, the 16GB of storage should suffice. The G3’s 13-megapixel camera is a highlight of the package. With a laser auto-focus, it’s super-fast to focus and snap pictures, meaning less chance of missing an action shot. The camera app’s interface is also vastly simplified, which is a good thing. Simply press the area on the screen you want to focus on, and the picture gets taken automatically. We were very happy with the results, though if you’re in the market for a camera more than a smartphone, it’s still hard to beat the PureView cameras in Nokia’s Lumia line-up. The front-facing camera is a 2,1-megapixel affair, fine for basic “selfies” and for video calls. We hope more manufacturers take a leaf out of Huawei’s book and introduce much higher-resolution front-facing cameras. Huawei’s new Ascend P7 has an 8-megapixel camera that is perfect for the “selfie” generation. 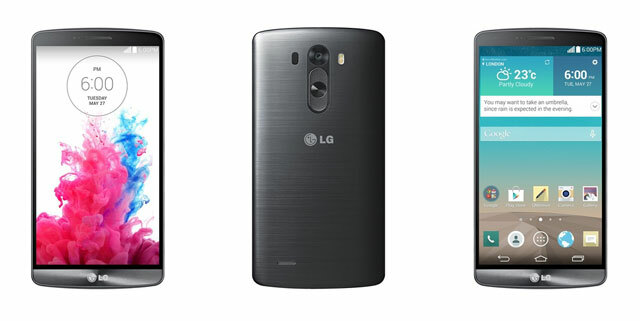 In summary, LG has produced a spectacular phone in the G3. While battery life is not quite as good as it was on the G2, it’s still reasonable. And the plastic shell is not as bad as some critics have made it out to be. For the rest, the G3 is a standout device. Its QHD display is simply gorgeous — your eyes will love you for it. And its support of radio spectrum bands is best-in-class.